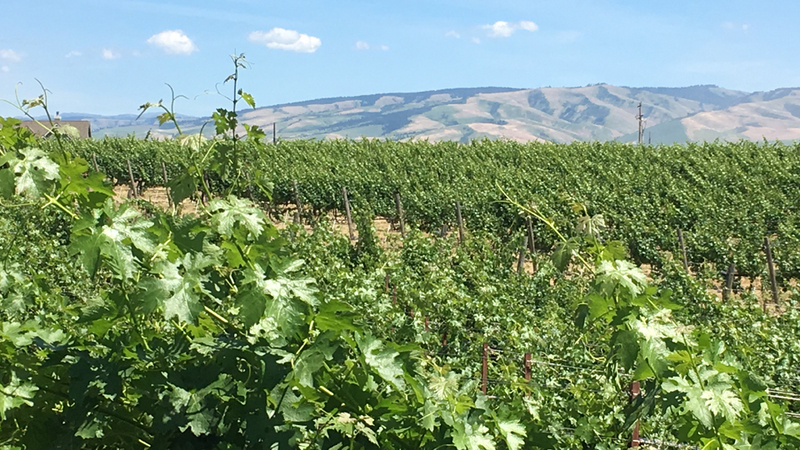 Recent vintages in eastern Washington have run the gamut from uncomfortably warm to searing. Summer afternoon temperatures in the high desert can easily surpass 100 degrees and rainfall during the growing season is rare. But even within this string of warm years, there have been significant differences in the shape of the various growing seasons. In fact, 2015 and 2016, despite the fact that they both began with a freakishly early flowering, are quite different in style. All happy families may be alike, but each hot vintage is hot in its own way. In the introduction to my coverage of Washington last November, I provided a detailed description of a number of vineyard management techniques growers have adopted to respond to the challenges posed by hot growing seasons. These include: pruning for a larger crop, at least during the first half of the growing season, in order to slow ripeness, careful hedging of the vines to slow down photosynthesis while simultaneously protecting the grapes from the hottest afternoon sunshine, and seeking out cooler and higher-altitude sites for new plantings. In recent years these measures have been essential to making balanced wines that avoid cooked flavors, and with each passing year the state’s growers and winemakers have a larger experience base to draw on in hot vintages. In the course of my winery visits in Walla Walla and my extensive tastings in Seattle this summer and in the past few weeks in New York, I got a good look at the extravagantly ripe, rich 2015 reds, from the hottest vintage ever recorded in eastern Washington’s winelands. Average GDDs (Growing Degree Days) across the Columbia Valley were about 20% higher than the norm — a huge increment. Due to the early-season heat, berry size was typically small, setting the stage for a crop of highly concentrated, powerful, tannic wines. It was then steadily hot through the growing season (with an extended heat wave — longer than two weeks — in late June and early July) and the harvest start was the earliest to date, with some wineries beginning in mid-August. Even normally cool vineyards ripened weeks earlier than they normally do. Not surprisingly, most winemakers agree that cooler and higher-altitude sites were especially favored in 2015, as they ripened fully and benefited from longer hang time during a year in which the harvest was generally compressed. Some growers were overwhelmed by the extreme season and the small crop of quickly ripening grapes. “The remarkable thing about 2015 was that the flavors also came early, which provided for big, ripe and balanced wines as long as you got them in in time,” said Chris Upchurch, winemaker for DeLille Cellars and Upchurch Vineyard. “I even saw black seeds in August. I was saying in the cellar, ‘throw away the calendar and get the grapes in when they taste ripe.’ This was the key.” He likens the 2015s to the 2009 vintage in Bordeaux: “Yes, it’s an atypical year but the wines are dynamic and great in their own right. And it was certainly a red wine vintage.” The 2015 vintage has yielded many extravagantly ripe, deep, showy wines with substantial ripe tannins —wines potentially at a higher level than all but the most exceptional 2014s and 2013s — yet some producers I visited this summer describe 2015 as a very good but not exceptional year. I’ll withhold any attempts at judgment until I have a chance to taste more of the vintage’s Cabernets and Bordeaux blends in finished form. Clearly, harvest dates were critical in ‘15, as was tannin management during vinification. The vintage has a tendency toward power and high alcohol — as well as lowish acidity, which is not necessarily a bad thing for red wines with strong tannins — and I suspect that a majority of the most successful, best-balanced wines came from fruit picked prior to overripeness or even dehydration and then extracted gently. The finest 2015s show uncanny purity and sweetness of fruit and terrific depth of flavor, and although most of them will give pleasure relatively early, the best of them appear to have the balance and material to surprise with their longevity. And of course, the later-picked Cabernets benefited from longer hang time and were harvested under cooler, less stressful conditions in late September and October. These wines have an extra measure of structure that some other varieties may lack in 2015. For early-picked white grapes, 2015 is a mixed bag, as many of these wines, despite being undeniably rich, lack vibrancy and spine and some are too high in alcohol (to be fair, a number of winemakers I visited this summer maintained that one of the near-magical features of the 2015 growing season was that wines from fruit picked early enough were ripe and fresh.) Some also suffer from incomplete ripeness or lack of flavor development as they did not get enough hang time before the heat began to dehydrate the grapes and the harvest had to begin. A number of growers believe that 2015 was a bit too hot to make truly classic Syrahs. On the other hand, Peter Devison, who works with a wide range of white and red varieties at EFESTÉ, is a fan of the earlier-harvested Syrahs, as this grape is normally lower in tannins than Cabernet in Washington. Budbreak was similarly very early in 2016, following a mild winter, and the flowering began as soon as the third week of May in some areas. By the end of that month, 2016 was on pace to eclipse 2015 as the warmest growing season on record. (David O’Reilly, proprietor of Owen Roe, noted that a block of old cherry trees on his Union Gap Vineyard site in Yakima Valley was harvested during the third week of May, about a month earlier than average and the earliest on record.) But then temperatures cooled down after the first week of June and remained more or less normal through the rest of the summer, with nighttime temperatures comfortably cool through much of July and August. (Needless to say, two of the hottest weeks occurred during my visits in late June and late July.) But the grape clusters were large and full in 2016, due in large part to the warm winter and spring and to the more moderate summer conditions, and the best growers made multiple passes through their vines, especially as temperatures cooled down in mid-summer, to limit their eventual crop levels. Owing to the often copious crop levels, some winemakers were initially a bit nervous about the intensity of their 2016 wines. But with better levels of natural acidity and lower alcohol than the 2015s, the red wines show higher-pitched and often more complex aromatics, as well as clearer site personality and less hot-year character. “The vintage hits all the high notes,” said David O’Reilly, “with perfect ripe flavors, perfumed aromas and exceptional natural acidity. The great wines happened in the vineyard this year, not the cellar.” Although I’ve only sampled a handful of 2016 reds to this point, it appears to be a more typical, classically styled and less tannic vintage than 2015. I will get a much better idea of the concentration and structure of these wines when I start tasting important examples next year. 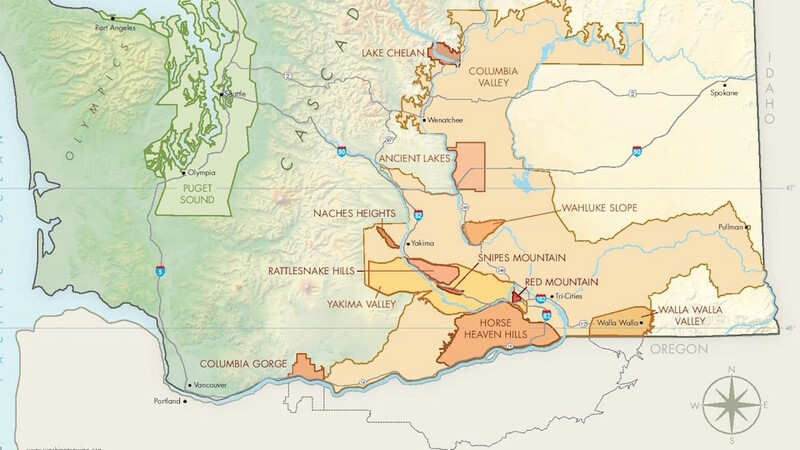 But it’s clear already that 2016 is a terrific year for white wine in Washington State and an ideal opportunity to sample some of these wines if your experience with Washington’s whites is limited. Some comments I received were “focused, fresh and terroir-driven” (Christophe Baron), “compellingly bright and aromatic” (Mike Januik) and “by far more balanced than the 2015s, with brilliant acidity and lower alcohols across the board” (Peter Devison). Generally lower alcohol levels typically accentuate the impression of freshness, and varietal flavors were less likely to be burned off by excessive heat than they had been for white grapes in 2015. My coverage this year also includes a number of top 2014 bottlings as well as some late-released ‘13s. As I noted in my coverage of Washington last year, 2013 was a consistently very warm growing season, in most areas the hottest since 2003, even if it didn’t experience quite the heat spikes of the earlier vintage. The harvest began in some sites toward the end of August, and temperatures remained unseasonably warm through the first half of September, which meant that some white grapes and Merlot came in under less than ideal conditions. But after the 15th, temperatures plunged, and they remained cool through the rest of the harvest, allowing for much longer-than-anticipated hang time for late varieties. The 2014 growing season tracked 2013 closely through June, then turned even hotter in July and August (it was the hottest July on record in Prosser, in Yakima Valley); in the end, it was the hottest growing season to date for Red Mountain in terms of total degree-days. The harvest began very early, during the second half of August, and was unusually compressed owing to the sustained heat, in some cases taxing growers and wineries. 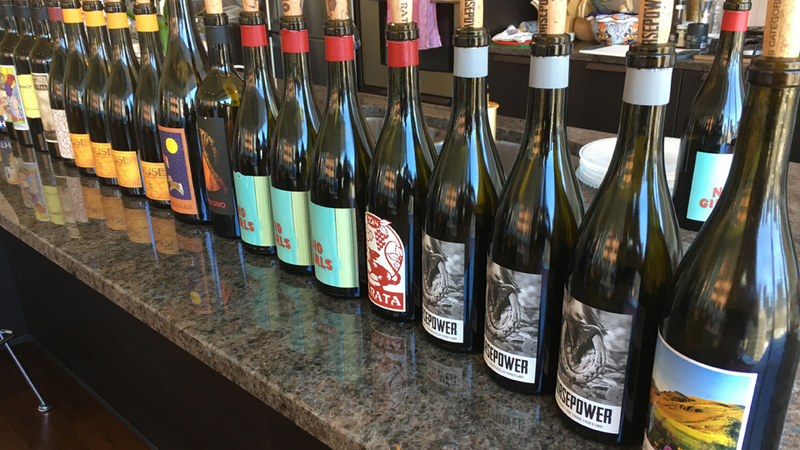 The ‘14s are deep, powerful and often high in octane, but many superb wines were made. As a gross generalization, the 2014s are more user-friendly and a bit higher in acidity, while the 2013s are more tannic and began their life in bottle a bit more angular. 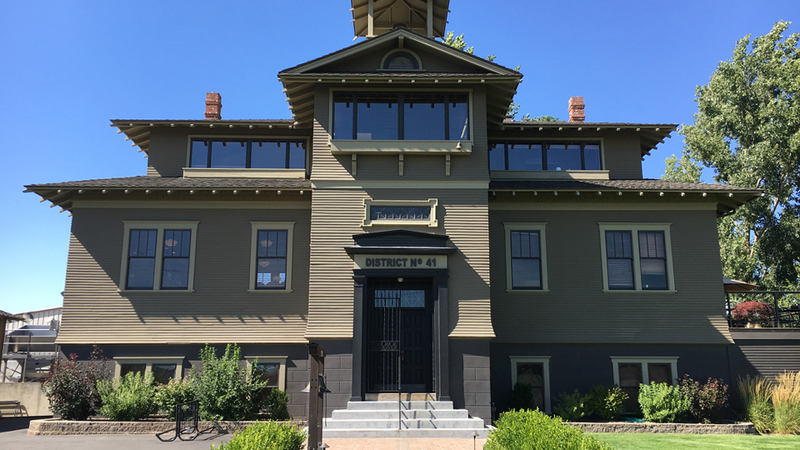 The wines in this article were tasted in Walla Walla and Seattle during the last week of June and the last week of July, and in extensive subsequent tastings (and retastings) in New York in September and early October.